Euphoria performing at the Royal Albert Hall. Today’s television schedules show you just how many people dream of a life in the bright lights, but for some talented individuals this happens almost by chance. Rachel Mason is one such person. After graduating from Cardiff University in 2003, Rachel set up her own singing practice, taking on individuals for lessons and working in schools. Then, in September 2010, Rachel joined with dancers Emma Mason and Tina Kelly to form the Euphoria Show Choir, with numbers growing steadily up to the choir’s fi rst public performance, which took place in the foyer at Bristol’s Colston Hall. 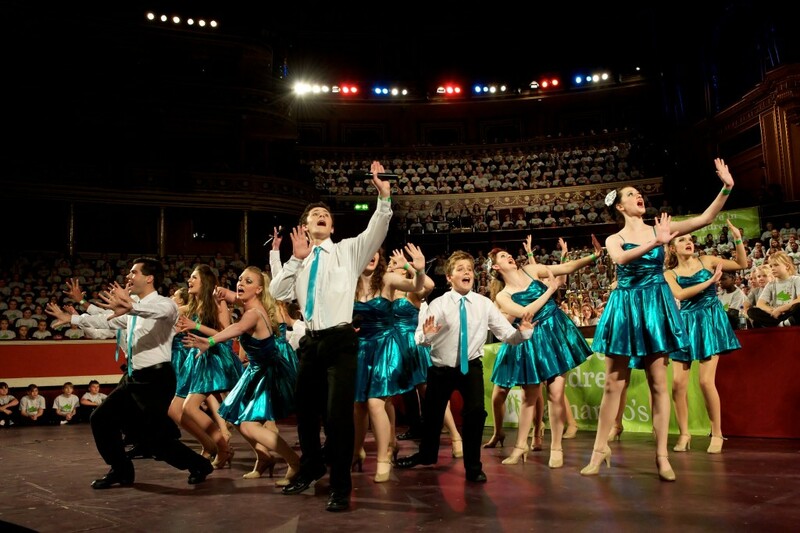 Next followed a trip to the United States, as the choir was invited to perform as international guest stars in the New York round of the National Show Choir Championships of America. Rachel’s many talents also meant that she was asked to compose the anthem for the anti-bullying charity Beat Bullying, with her song, Body on Mute, raising thousands of pounds for the charity and winning multiple awards. To find out more, visit the Euphoria Show Choir’s YouTube channel.